With Western Digital you can count on every drive to serve a purpose. 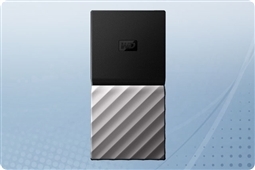 A global leader in storage technologies, Western Digital has redefined the way we think about external storage devices and internal storage since 1970. Each Aventis Systems Western Digital My Passport SSD comes with a standard 1 year parts replacement warranty with upgrades available to extended term and express next day replacement warranties to ensure your solid state drive portable storage stays protected. So shop our models below and bring the fastest file storage speeds to your desktop backup strategy today with the WD My Passport SSD from Aventis Systems!